It is surely beyond the doubt that customer comments are great factors in determining the success of an app. Unfortunately, due to the negative comments, the reputation of an app on which the developer spent a lot of time and showed great effort may get lost. Today you will read how to handle a negative performance review? How to handle a negative performance review? Even though avoiding from all of these negative comments is impossible, answering them and addressing properly have critical importance. Here are the tips that you can use in case you face with negative comments. Considering what users are trying to say from features to prices and doing some regulations accordingly can be a good start in solving problems. Because adopting mistakes devoutly is a serious step in relaxing users and developing customer relationships. However, of course apologizing for a mistake in the app is not enough. Fixing the mistakes should be the primary aim of the app owner companies. Solving a problem efficiently can be one of the ways to show that you really give importance to users’ ratings. It is extremely important to differentiate the constructive criticisms and the comments made in an attempt to sabotage. User accounts that comment in the attempt to discredit the app, which is also called troll accounts, can be dealt kindly and professionally at first; however, disconnecting after receiving a few comments may be the correct thing to do not to receive more unnecessary comments. If you approach negative comments in a correct way, it may create opportunities for your brand. For instance, it may inspire for developing better products, give ideas about which features will be added to the products or services or which features should be removed. Moreover, it may help you to have information in determining a favorable price point. So, you may both make users feel valuable and take important steps for your company to get ahead in the rivalry. If the comments are made in another language, first, you better understand what it says. Working with a translator who makes the translation for commonly used languages may help your company to reveal its professionalism. However, if your comments are rarely in another language, “Google Translate” may be helpful also. 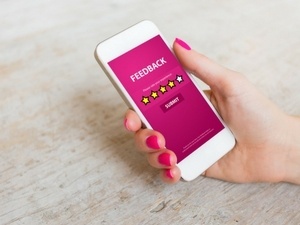 Learning how to get over negative feedbacks plays a great role in managing the sustainability of the apps because the apps which do not satisfy the expectation of users are generally not able to survive for a long time. If you still do not have a mobile app, you can create your own mobile app via MobiRoller in minutes. Create your MobiRoller account and have your place in the mobile world as soon as possible.